Fall is officially here, which means colder temperatures are here to stay and many outdoor sports are winding up their seasons. 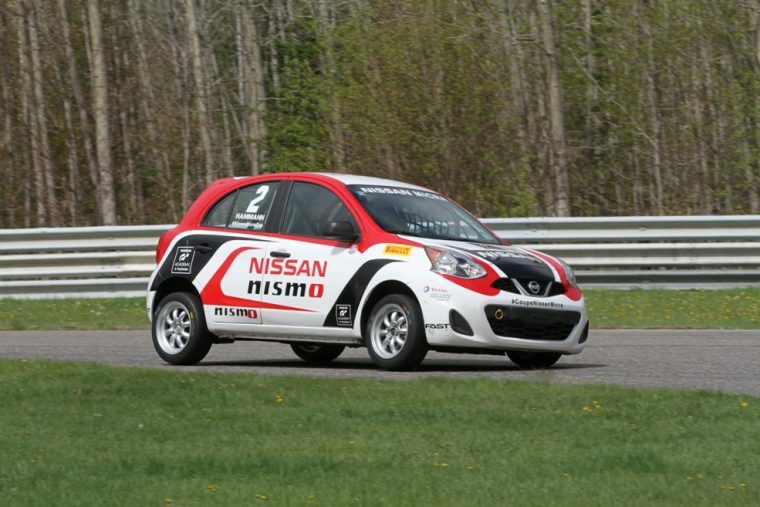 This month, the 2018 Nissan Micra Cup in Canada held its last race weekend for the year at the Fall Classic at Circuit Mont-Tremblant. Olivier Bedard won on Saturday and Jake Exton was victorious in Sunday’s race, but Bedard came out on top as the overall champion for 2018. I’ll admit, I have a soft spot in my heart for the Nissan Micra Cup and its tiny race cars. If you don’t know about the Nissan Micra Cup, it’s a race series that utilizes the automaker’s smallest (and most affordable) vehicle as the model every driver uses. While you might laugh at the idea of little hatchbacks zooming around a course, the vehicles’ small size makes them the perfect starting car for an aspiring racer and their team. It still isn’t cheap to run one of these cars, but its price tag runs considerably lower than other racing championships. The Nissan Micra Cup series runs with six weekends of racing, with one event on Saturday and one on Sunday for 12 races total. That’s how the final weekend of racing produced two different winners. When all was said and done, Olivier Bedard was the top of the championship standings composed of 34 drivers. After Bedard was Kevin King, Jake Exton, and Valerie Limoges. If you’re just now learning about the Nissan Micra Cup and you’re intrigued, check back here in the spring for updates about the 2019 season.